Valid while supply lasts. New 2018 samples. This is the 2oz sample of White Naturals Shea Butter. 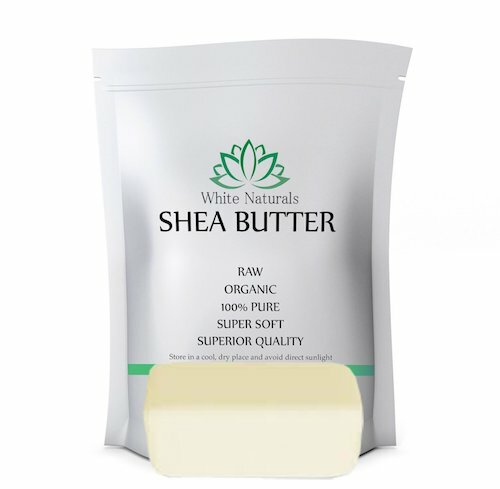 Shea Butter is an off-white or ivory-colored solid fat extracted from the nut of the African Shea tree. Shea butter is mainly used in the cosmetics industry for skin and hair-related products (lip gloss, skin moisturizer creams and emulsions, and hair conditioners for dry and brittle hair. It is also used to make soap. In some African countries such as Benin, Shea Butter is used for cooking oil, as a waterproofing wax, for hairdressing, for candle-making, and as an ingredient in medicinal ointments. Uses and Benefits of Shea Butter Shea butter is extremely gentle on the skin and suitable for various skin types. Create DIY soaps, face creams, hair masks and more with our beauty must-have! Have you ever tried shea butter products?